Taskmaster is a villain in the Marvel Universe known for his run ins with the Avengers, Captain America, Wolverine, Spider-Man and Deadpool. He is considered to be one of the top fighters in the MCU due to his ability to mimic other people's movements and fighting styles. Toylab is a member of the Amazon Affiliate Program which allows to seek out and find these amazing deals on awesome Marvel merchandise. 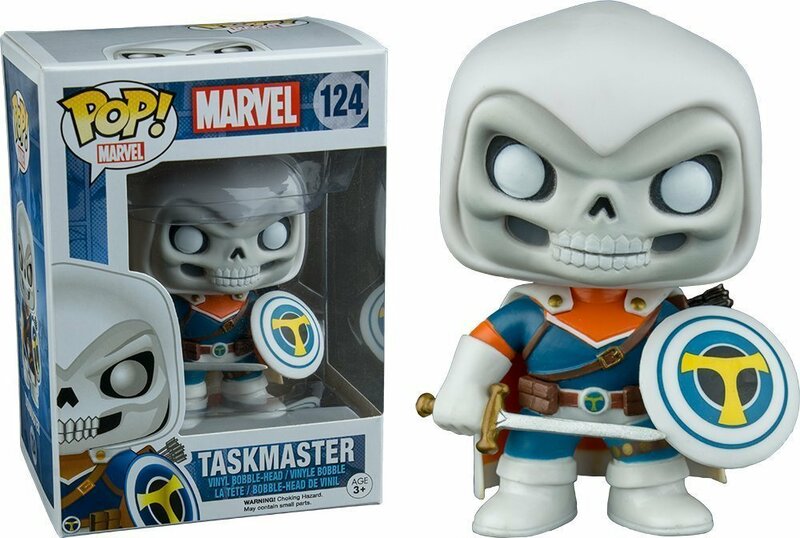 There are some really fun Taskmaster toys out there I really like his Funko Pop! figure. The Taskmaster is a greatly feared combatant that is often hired out as a mercenary. He has the unique ability of copying another person's physical movement. This allows him to copy the fighting moves of heroes such as Spider-Man, Wolverine and Shang Chi. The Taskmaster has a mysterious history due in part to his weak memory. His mimicry power causes a flood of new memories to entrench themselves into his mind and this forces out old memories. He has said that his power began as a child. He was watching a cowboy tv show and was immediatly able to duplicate the complicated rope tricks the cowboys were using on the show. His mother was disturbed at her sons sudden mastery of the complicated skill and took him to a psychologist. The psychologist found that Tony had an ability that he dubbed Photographic Memory. What Tony is able to see another do he is immediately able to copy. Tony immediately put his powers to use becoming the star quarterback of his High School football team after watching one game. Debating what to due as a career he decides to use his power as a villain as it seems more lucrative. He created a video archive of super heroes fighting and moving and found that he could copy much of their moves. He also learned that he could mimic to an extent kung moves that were sped up from real speed. While he could not mimic the actual strength or speed of the heroes he could use all of their moves provided they did not depend on the heroes's super powers. In a fight his power also had the effect of allowing him to predict the next more of his adversary creating a kind of super reflex. Using his new super moves he committed a series of robberies. Finding that robbing was more risky than he anticipated he used the money to create a large training center for other villains. He became a well known trainer that would work for the highest bidder. He created the name and costume of Task Master and began training villains and henchmen all over the world. The Avengers raided his base and he managed to defeat Yellow Jacket, Wasp and Ant-Man but was confounded by Jacosta who he had never seen fight before. He fled and escaped. He would go around the country creating various training centers and escaping when Super Heroes came to close. 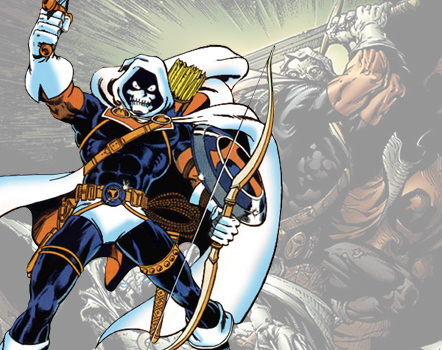 Students of the Taskmaster include: The Spymaster, John Walker, Spider-Woman, Agent X, Crossbones, Cutthroat, U.S. Agent, Diamondback and Hauptmann Deutschland (Captain Germany). It is revealed that much of Task Master's work is done by a group called Org and handled by a woman named Mercedes Merced. It is revealed that Mercedes is Task Master's wife who he has forgotten due to his memory loss. Mercedes continues to run Org as the means of keeping an eye on her former husband who she still loves. Additionally, Org is a front of SHIELD and uses it as the means of gathering intel on the criminal underworld. Memorize and perfectly mimic the moves of anyone he watches. Tactically outsmart opponents whose strategies he has memorized. Additionally: He is considered to be top level martial artist, gymnast, marksman, master of wide range of weapons, espionage expert and is a master of disguise. He also once possessed energy manipulator that allowed him to create a variety of weapons based off of energy. The Taskmaster has not yet appear in the MCU.